Fiat-Chrysler has sold its automotive parts business Magneti-Marelli to private equity firm KKR, S&P Global Market Intelligence reports. The latter will likely combine Magneti-Marelli with its existing parts business Calsonic Kansei to form a global leader in parts supply. Fiat-Chrysler will retain a multi-year supply chain agreement with the new company, suggesting the deal is more financial than operational in nature. 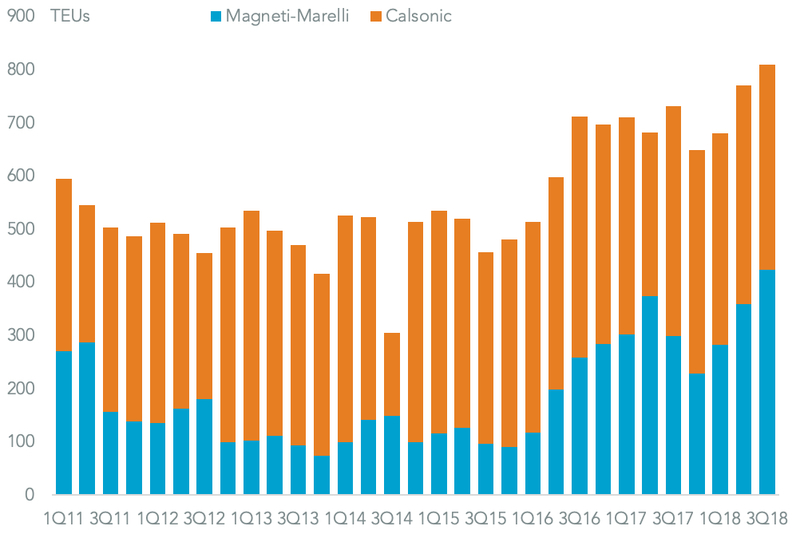 Panjiva data shows Magneti-Marelli’s U.S. imports were a similar scale to Calsonic’s at 1.29k TEUs in the past four quarters vs. 1.61k TEUs. Both have struggled for growth with 2.8% and 3.4% expansions respectively in the past year on a year earlier despite a bound in the most recent quarter – including a quarterly record for Magneti-Marelli. The combined company faces three significant regulatory risks in the United States. The first stems from the renegotiated NAFTA trade deal (now known as USMCA) which includes significant restrictions on parts sourcing as outlined in Panjiva research of October 3. Second is the ongoing section 232 “national security” review of the automotive industry more broadly which is currently stalled pending trade negotiations with the EU and Japan. Third is the duties applied to Chinese exports under the section 301 review which covers $250 billion of Chinese exports as at September 24. 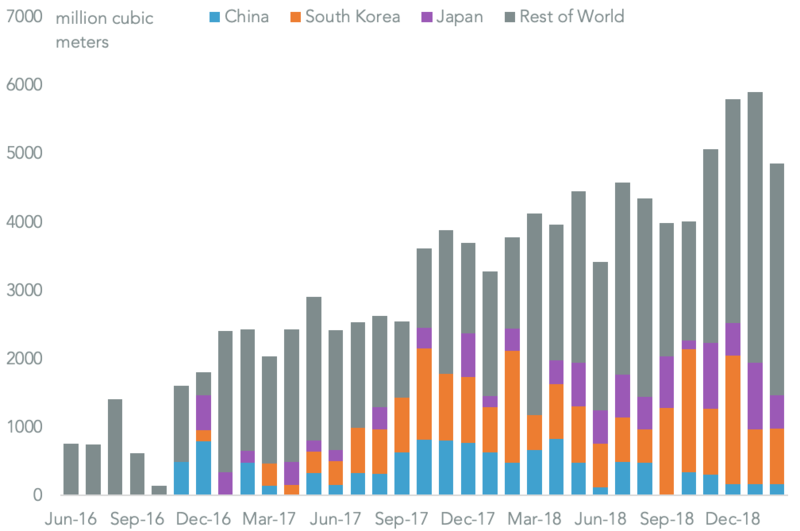 On a combined basis a deal with the European Union matters most for the firm’s imports as it accounted for 33.5% of total imports in the past 12 months (21.5% from Italy alone) while Japan accounted for 17.1%. China still matters though at 16.2%, in particular for shipments of compressor systems (HS 8414) and steel tubes (HS 7306).